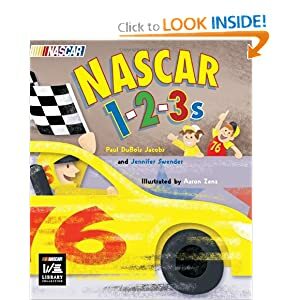 Hope you're not getting tired of our "car themed" activities . . . my son certainly isn't. So far we've used them to learn about colors and patterns, as well as the sequence of the alphabet. 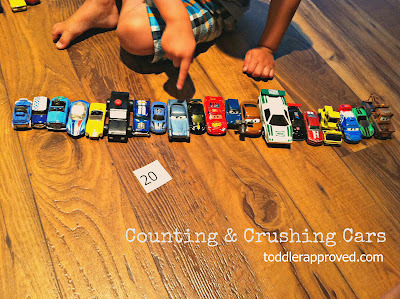 Today we're sharing how we've incorporated counting and number recognition into our daily car "play". We're currently working on counting (and recognizing the numbers up) to 20. We collected as many cars as we could find, and put them in a pile. I also printed and cut out numerical flash cards (although you could also use playing cards or dice to determine numbers). 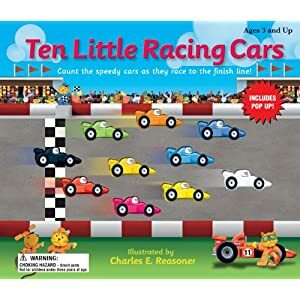 We would take turns drawing a number, identifying the number on the card, then selecting the appropriate amount of cars to add to the "line up". 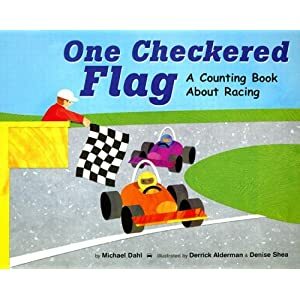 After we had lined up all of the cars, we would double check and count again. Then, for the fun part . . .
. . . driving "The Monster Truck" over our line up and CRUSHING all of the cars! We'd put all of the cars back in our stock pile, draw another number and start again. 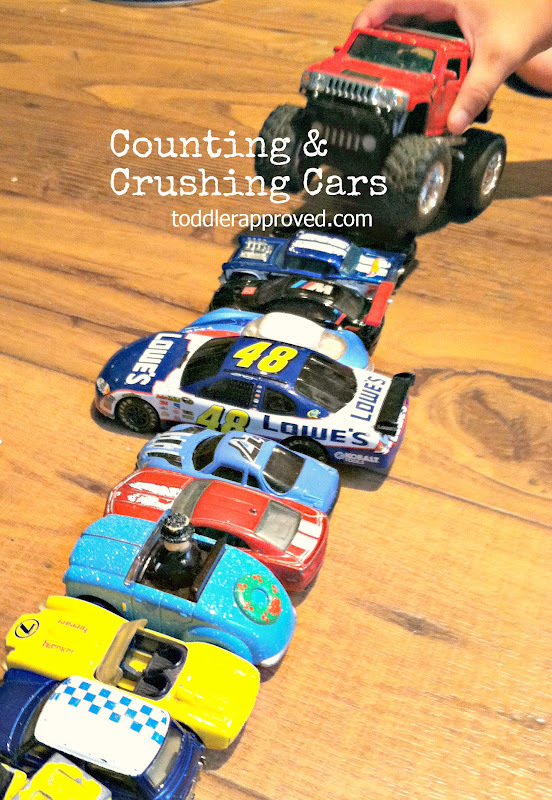 This was a great activity to not only identify numbers, but to practice one to one correspondence using toys we love. 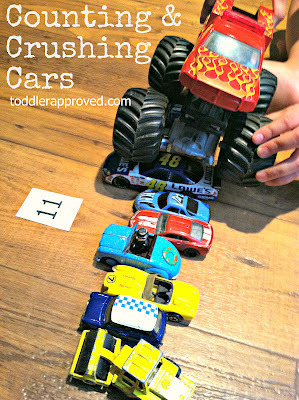 Found this genius idea by All for The Boys molding cars out of foil to make the smashing/crushing more realistic. We're going to incorporate this idea the next time we play this game. what fun! 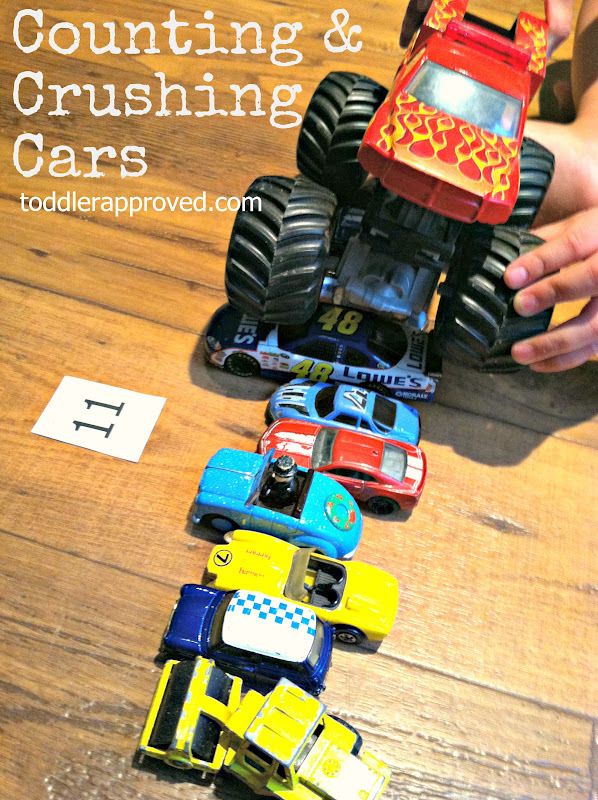 my son loves monster trucks! pinning this!